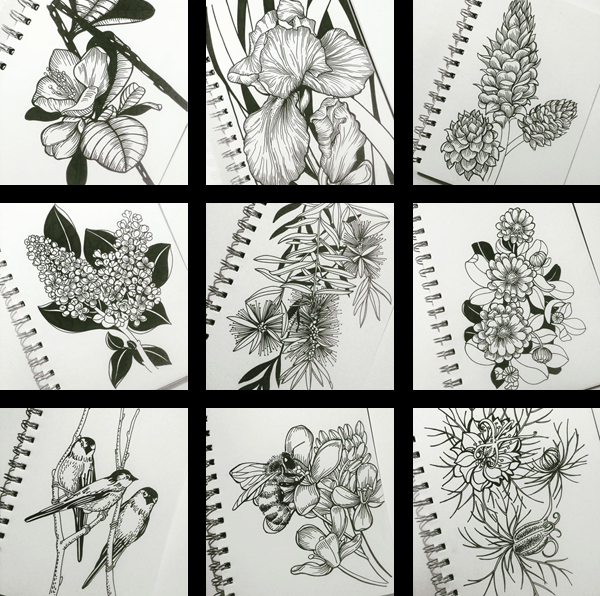 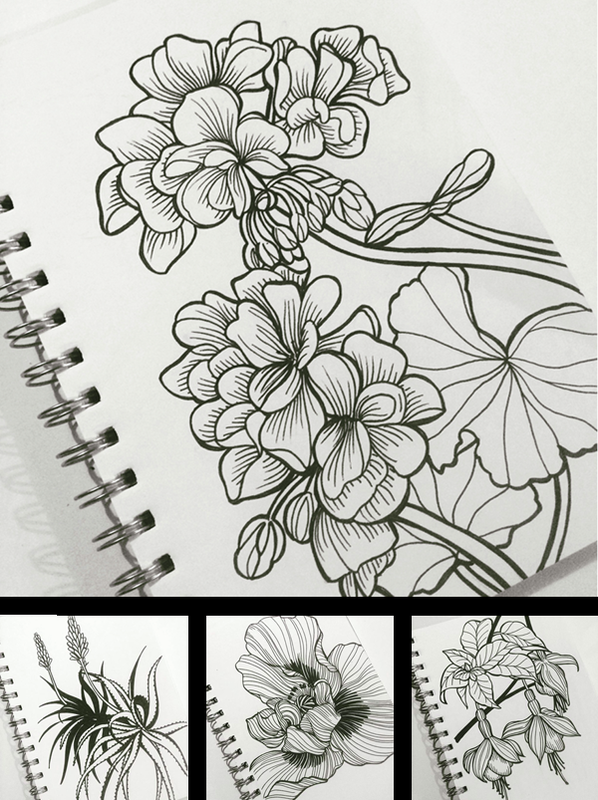 This year I attempted a drawing a day for Inktober and decided to work with botanical images. 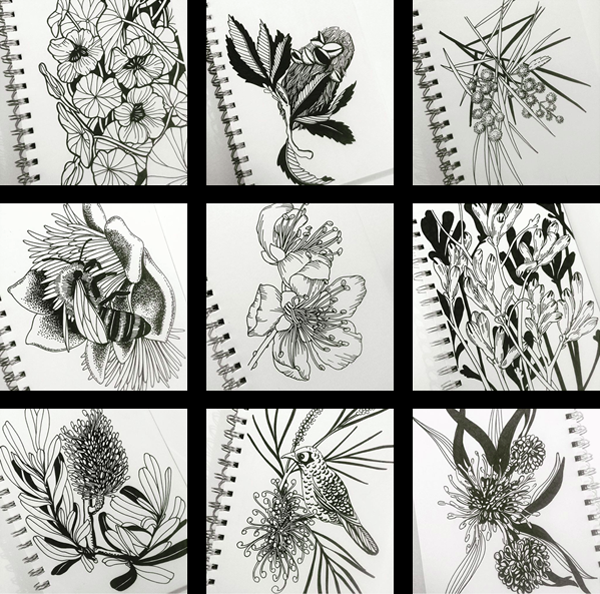 Most of these were drawn from photos I have taken over the last few years. 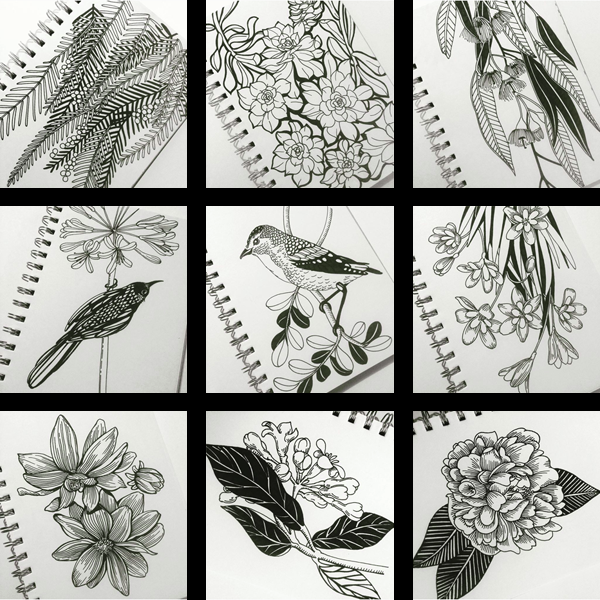 Maybe some of these will be developed into fabric designs.